It’s that time of year again. 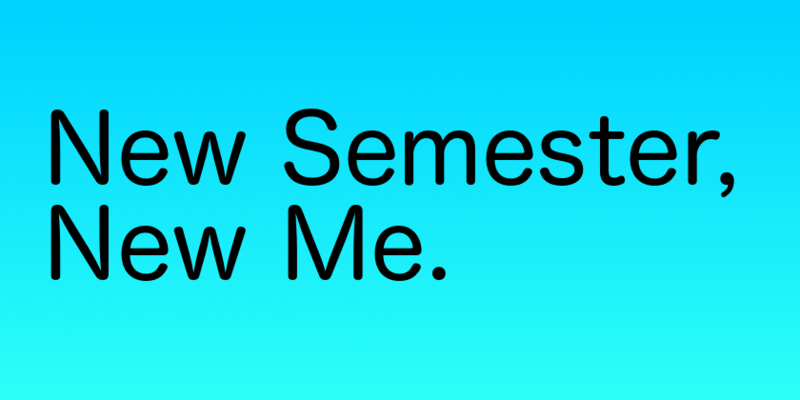 The new semester has begun, and we’re all thinking the same thing. We just can’t afford to let this semester go the same way as the last one. This year you’re going to be at every lecture. This year you’re going to get coursework finished well before the deadlines. This year you’re going to write amazingly detailed colour-coded notes with extra sticky-notes. This year you’re going to start revising in February because you’re just such a productive and organised person now, right? Except, there’s this nagging voice in the back of your head. What’s it saying? You said that last semester. And the one before. And the one before that. So how do you do it? How do you make sure you stick to it this time? Well, I won’t claim to be the perfect student but I have some ideas. The biggest change I want to make this year is in my sleeping patterns. Last semester my earliest lecture was at 11. I only had to be at uni at 9 once every three weeks for a test. Naturally I fell into a pattern of getting up at mid-day-ish and going to sleep at 4AM all the time. Getting up for those tests was physically painful. Not only that, but I found that I was pretty much constantly tired. So this semester, I’m going to get up at 9 every day. You may laugh, but I’ve come to the conclusion that a 9AM start is the only way I’m going to do work on a consistent basis. Of course I’ll skip on this fairly regularly, because a constant 9AM start time just doesn’t fit for the average student life. But whenever it’s reasonable to get myself up at 9, I’m going to try. It’s all well and good saying you’re going to go to every single lecture. Or that you’re going to start coursework early. But let’s be honest, for the vast majority of us, we’re never ever going to go to every single lecture. It’s just not realistic. If you say you’re going to all of them, you’re inevitably going to fail, and once you miss one, what’s to stop you missing another and another. 75% though, that’s more reasonable, and you can measure that which is important. As for starting coursework early, what does that even mean? “Early”? How do you measure that? 2 days after it’s released, that you can hold yourself to. It sounds cliché, but straight after lectures really is the best time to do work. You’re not distracted by anything, it’s fresh on your mind, you’re on campus and not in bed. Get some work done! I plan to stay on campus at least one extra hour every day this semester.